Starwood Hotels & Resorts Worldwide has announced plans to open a W hotel in the resort town of Sharm El Sheikh in Egypt. W Sharm El Sheikh and The Residences at W Sharm El Sheikh will be located by Nabq Bay, one of the finest diving spots in the world. 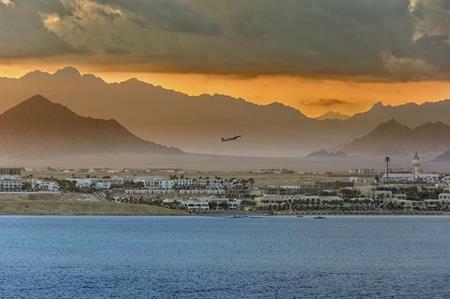 Only a 20-minute drive from the Sharm El Sheikh International Airport, the hotel will overlook the Straits of Tiran at the mouth of the Gulf of Aqaba. It is cited to open in 2020. The hotel will have 350 rooms and suites, including two Extreme WOW Suites (the W brand’s interpretation of the presidential suite). The Residences at W Sharm El Sheikh will feature 50 branded residences with an exclusive lounge and residents there will have access to the facilities and services that are available at the hotel. Sharm El Sheikh will have more than 1,880sqm of modern meeting and event space, including a great room for larger celebrations and six studios for smaller meetings. It will also have a 24-hour business centre. Other facilities will include an all-day dining venue, two specialty restaurants, a destination bar and W Lounge, a spa, a state-of-the-art fitness centre, a tennis court, and an outdoor pool with deck and bar.